Skyfire Web Browser for iPad is currently on sale at more than 50% off – down from its standard $4.99 to just $1.99. The sale is to mark 15 million downloads of the app and the opening of the London Olympics – thought there’s no word on how long the sale price will stay in place. ✔ Skyfire allows you to watch Flash videos that otherwise don’t work on iPad! Ever see a ‘black rectangle’ instead of a video while browsing with the native iPad Safari browser!? That’s when you need Skyfire! ✔ Enjoy videos from sites across the web that have not been optimized for iPad such as live streaming video (breaking news, sports, concerts & more), South Park, The Daily Show, niche websites, and more. ✔ More than 200,000 websites supported and new ones added daily. ✔ Video Recommendation Engine which intelligently suggests related video based on the content you are browsing! NOTE: *Skyfire Does NOT support Flash Websites, Apps or Games – Just tons of great Flash videos across the web! 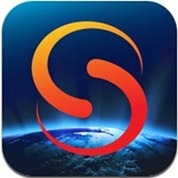 Here’s an App Store link for Skyfire Web Browser for iPad – now is a good time to grab it if you’d like to be able to play Flash videos on the iPad. How does this compare to Photon as a flash-enabled browser?